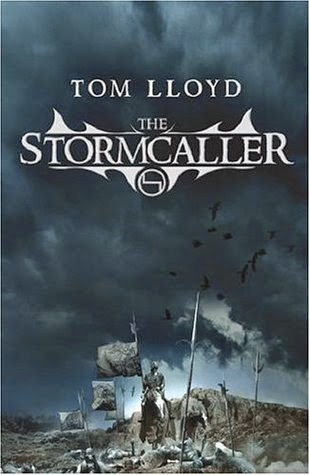 You can now download Tom Lloyd's The Stormcaller for only 2.99$ here. Isak is a white-eye, feared and despised in equal measure. Trapped in a life of poverty, hated and abused by his father, Isak dreams of escape, but when his chance comes, it isn't to a place in the army as he'd expected. Instead, the Gods have marked him out as heir-elect to the brooding Lord Bahl, the Lord of the Fahlan. Now is the time for revenge, and the forging of empires. With mounting envy and malice the men who would themselves be kings watch Isak, chosen by Gods as flawed as the humans who serve them, as he is shaped and moulded to fulfil the prophecies that are encircling him like scavenger birds. The various factions jostle for the upper hand, and that means violence, but the Gods have been silent too long and that violence is about to spill over and paint the world the colour of spilled blood and guts and pain and anguish . . . I actually (finally) started reading this last night! Sebastien de Castell contest winners!